is the best in baseball, and possibly the best in professional sports. I was raised to hate the Yankees, I mean, really, really hate them. I have a friend who was raised the same way, only opposite. She was raised to hate the Red Sox. versus evil, the Red Sox Nation vs. the Evil Empire, minor tweaks vs.
A rivalry, yes, but most definitely a fun one. 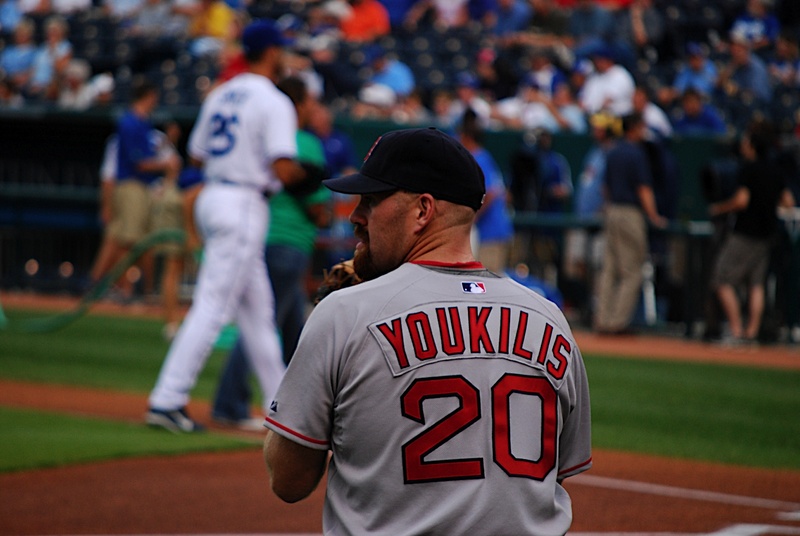 is, Joba’s thrown at Youkilis four times. Four. did it earlier this season, it was an accident and everyone knew it. When Joba did it last season, it was no accident. If he does it again, judging by the reactions last time, there will most likely be a brawl or an ejection, or both. hits, zero earned runs, and nine strike-outs. .429 with an OBP of .522. In other good news, the Red Sox starters are all now hitting above .200, with Lowell, Youkilis, and Green hitting above .310.
tonight at 7:10 PM, with Chamberlain taking the mound against Lester. 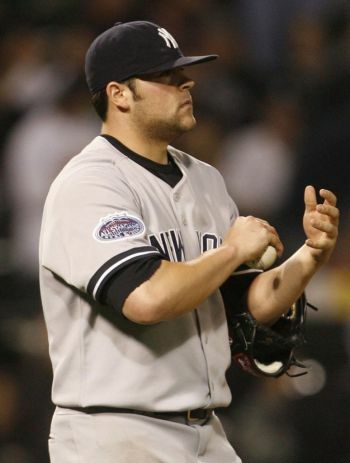 Finally, Andy Pettite will face off with Justin Masterson in the Sunday Night Baseball game on ESPN at 8 PM. This was possibly the most epic series ever.